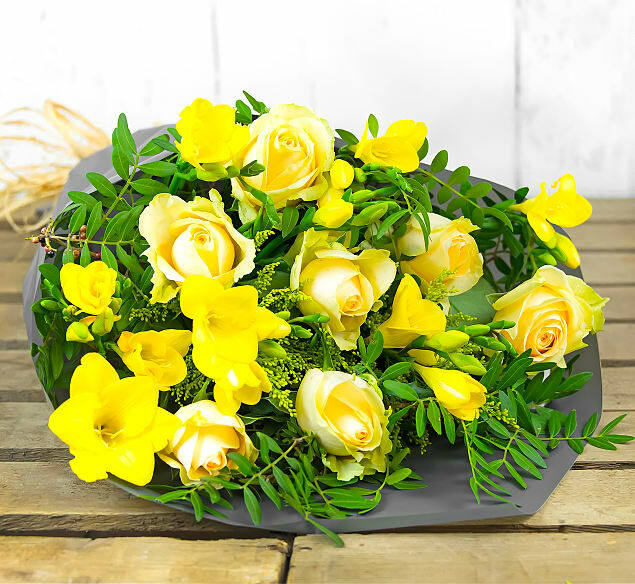 This bouquet of bright yellow flowers and rich foliage will bring joy to any home. No matter the occasion, this radiant arrangement will be enjoyed. 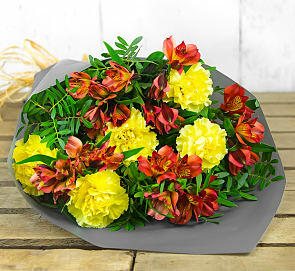 Freesias, La Belle Roses, and gorgeous green pistacia make this bunch of blooms stand out every time!